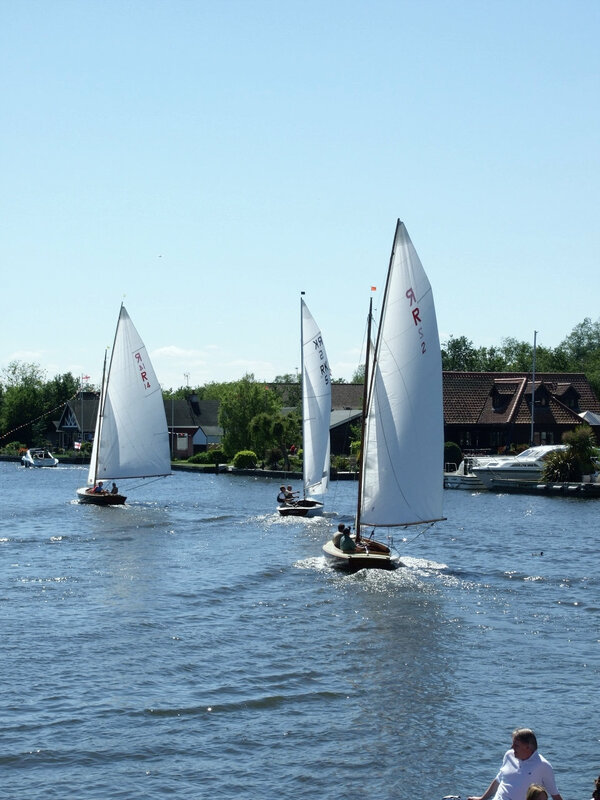 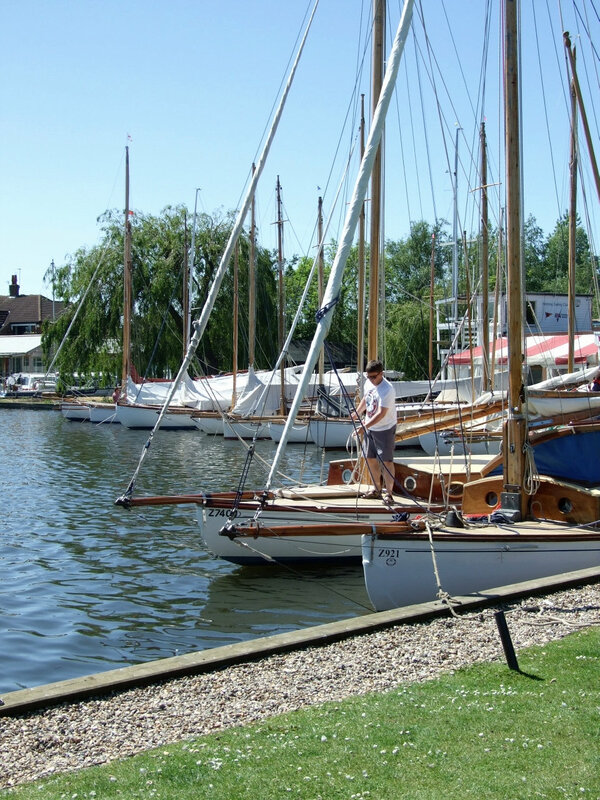 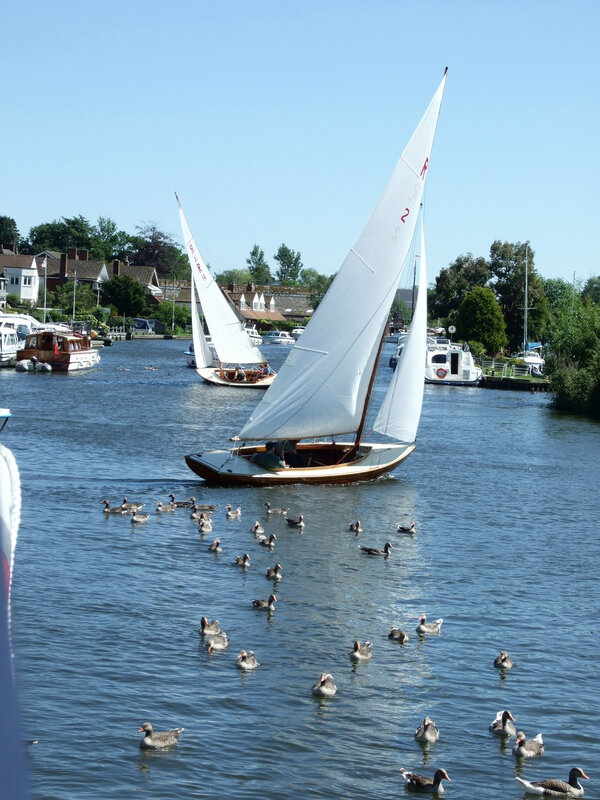 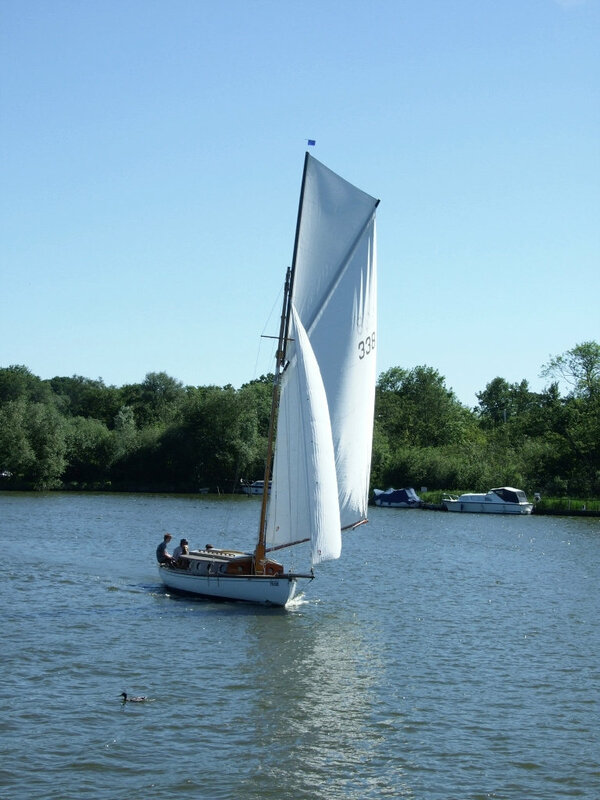 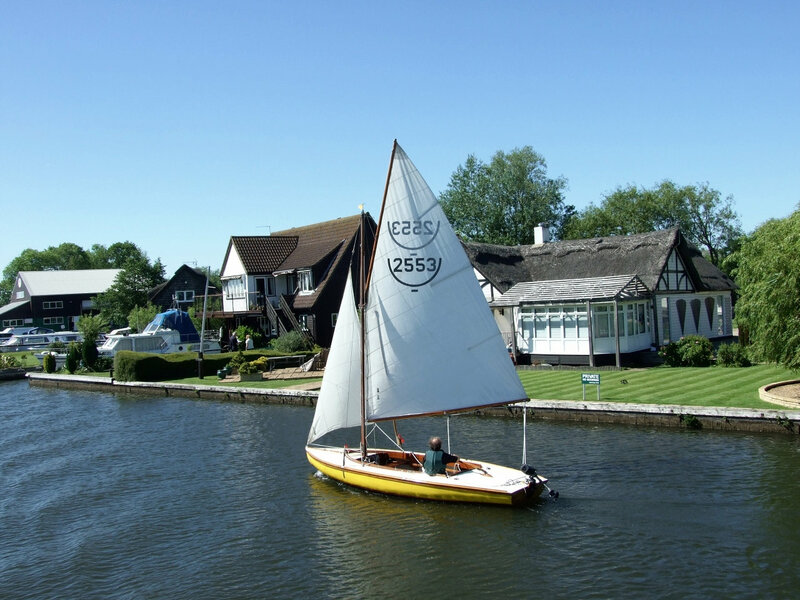 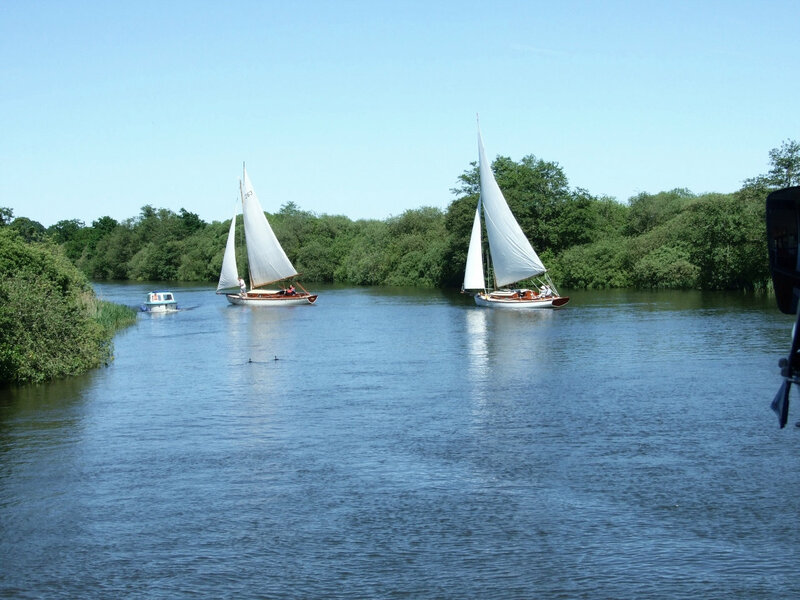 Last Friday the weather was gorgeous and the yachtsmen of the Norfolk Broads were busy trying out their boats and skills to get ready for the famous Three Rivers Race – and here are some photos taken in and around Horning to prove it! 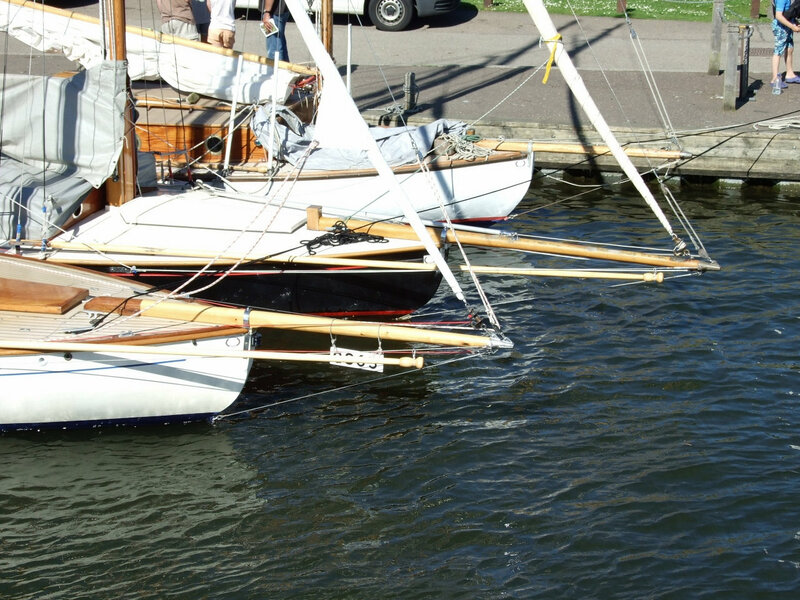 Naturally, I took many more than these during our visit, but I thought intheboatshed readers might enjoy this taster. 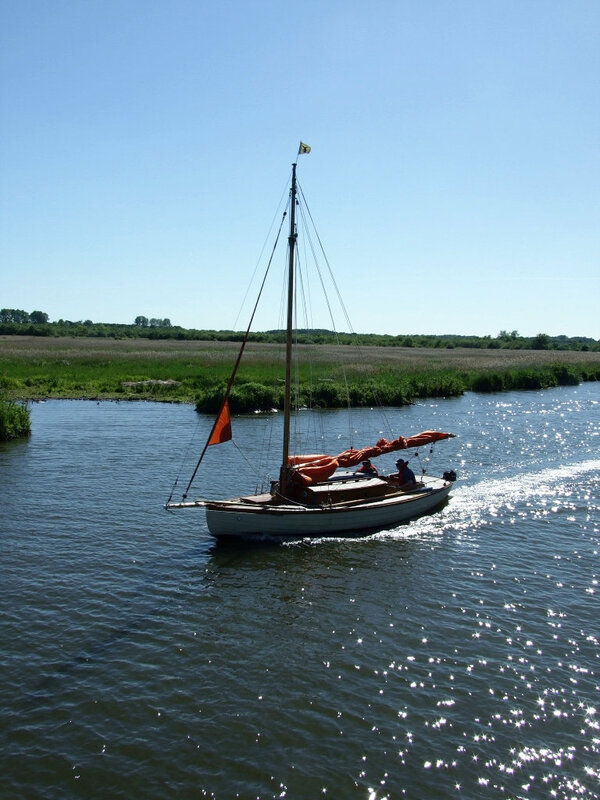 The Broads area of ancient man-made lakes, rivers and reed-filled marshy valleys is a wonderful place for a holiday, and for boat nuts like me the number of gorgeous traditional boats is astonishing. 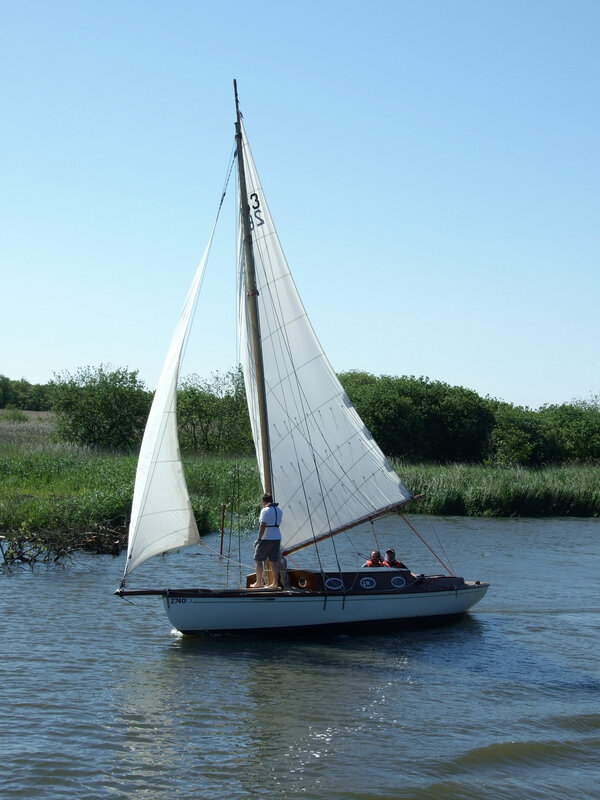 For more Norfolk-related posts at intheboatshed.net, click here.